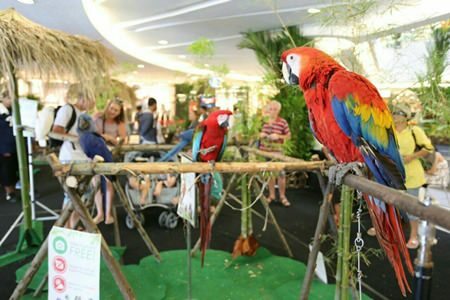 A Bangkok club brought its rare and beautiful birds to Pattaya for locals and tourists to admire. 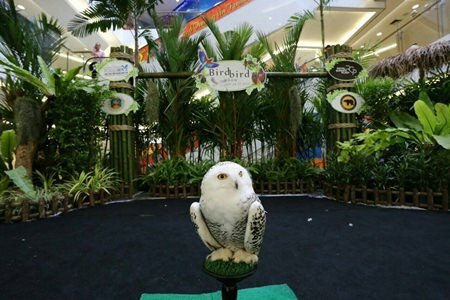 The Bangkok Bird Lover Club showcased more than 100 avians Sept. 24-27 at Royal Garden Plaza. The free exhibition included forest chickens rarely seen, peacocks, owls, birds of prey, macaws, and colorful others. Most were tame and touchable, which the kids appreciated. The club’s Montri Akarachot said all the birds are registered legally and are well taken care of. The club staged the show to let Pattaya and tourist children see birds they might have ever only seen in photos. Colorful macaws were a big hit at the show. Is that Harry Potter’s owl?